Comments: 632 p. Audience: College/higher education. New, excellent condition. Comments: This book is in acceptable condition. Overall it is readable and usable, though not in a giftable condition. The pages will have highlighting throughout the book. The cover will be rough and show visible wear. Dust Jacket is not present, if it originally came with it. Auxilliary materials such as disks or codes are likely not included. Fast Shipping - Safe and Secure Bubble Mailer! 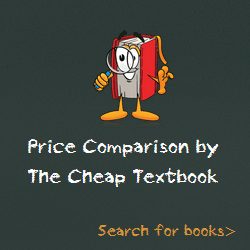 This entry was posted in Book and tagged 0133949567, 978-0133949568, 9780133949568, Computer Science on January 7, 2016 by Textbooks.